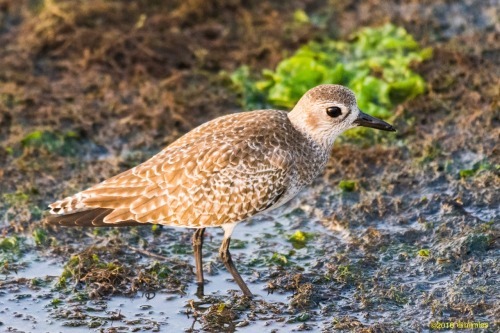 While chasing the Pacific Golden-Plover yesterday I was basically in shorebird heaven. 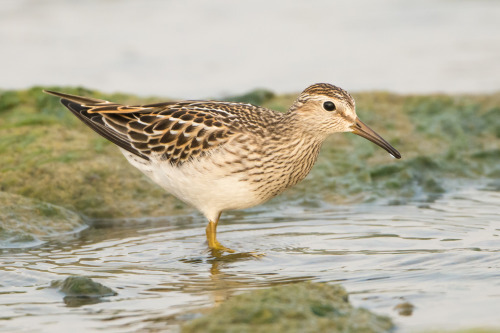 There were SO MANY SHOREBIRDS roaming the thick accumulation of wrack on Goleta West Beach. One bird that intrigued me was in a large group of Sanderlings; it was just a tad bigger than they were, with a sharp demarcation between the streaked breast and the white belly. I took a bunch of (crappy) photos through my spotting scope and compared them to references when I got home. Glenn found a Cattle Egret at Devereaux Slough yesterday morning. I couldn’t get away to look for it yesterday, but I set the alarm for 4:30 a.m. and was there with my spotting scope as it was getting light this morning. Lots of egrets (Great and Snowy), but no Cattle. It was still a lot of fun. I haven’t been to Devereaux in a while, and it was neat seeing some different birds. 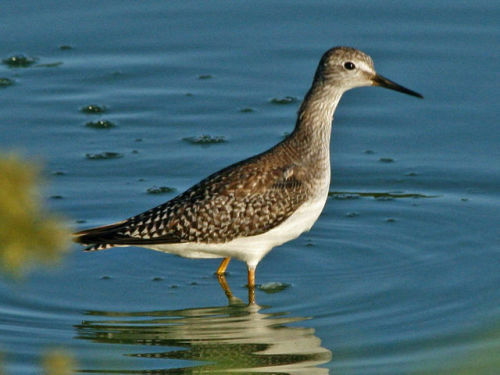 I headed down to Coal Oil Point after that, and what should appear in the lagoon near the beach but a Lesser Yellowlegs! I’d chased these a few times earlier in the year without success, so I was pretty excited about it. I got a bunch of (crappy) digiscoped photos, and Nick and Rob were kind enough to confirm the ID for me. 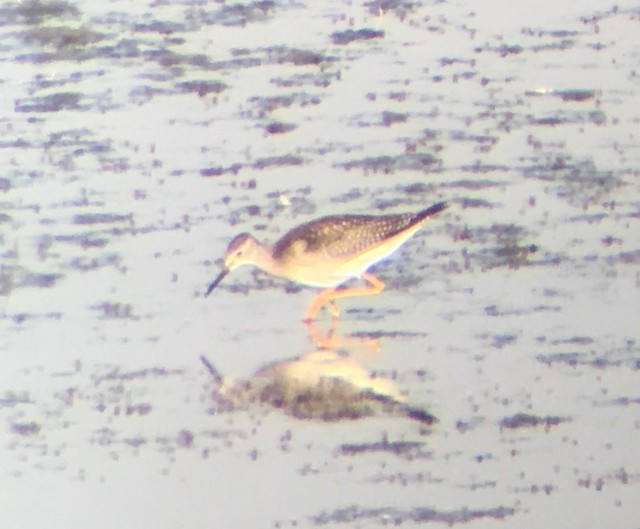 Short, straight beak, not much longer than the width of the bird’s head; this one was the real deal, not like the Greater Yellowlegs I tried to turn into a Lesser back on April Fool’s Day. You are currently browsing the Carp Without Cars blog archives for August, 2018.